Robbins shares some of his Neuro-linguistic programming (NLP) techniques to learn how to eliminate phobias in minutes, create rapport with strangers, and to duplicate the success of others. For the past three decades, Anthony Robbins has served as an advisor to leaders around the world. A recognized authority on the psychology of leadership, negotiations, organizational turnaround, and peak performance, he has been honored consistently for his strategic intellect and humanitarian endeavors. Robbins has directly impacted the lives of more than 50 million people from over 100 countries with his best-selling books, multimedia and health products, public speaking engagements, and live events. 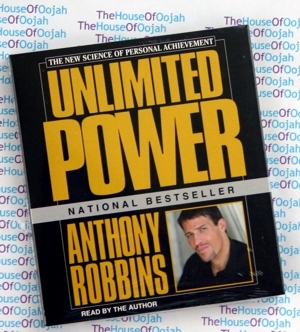 Anthony Robbins calls himself a peak performance coach rather than a motivational speaker. He tries to find out what people do when they are at their peak and then help them access that peak state whenever necessary. He believes what he does is more effective than providing temporary motivation. His nonprofit Anthony Robbins Foundation provides assistance to inner-city youth, senior citizens, and the homeless, and feeds more than two million people in 56 countries every year through its international holiday “Basket Brigade.” Robbins is the founder of the Anthony Robbins Foundation, which proclaims its mission is to empower students, help prisoners to improve their lives, organize food drives, and fund Robbins' summer "Discovery Camp".According to the website, it has "products and programs in more than 2,000 schools, 700 prisons, and 100,000 health and human service organizations. The Foundation is committed to make a difference in the quality of life for children, the homeless, the prison population, and the elderly through its various programs." Charity Navigator gives the foundation an overall rating of four out of four stars. What began as a young person’s desire to help individuals transform the quality of their lives has grown into Robbins’ lifelong crusade as he is called on by leaders from every walk of life— CEOs of multinational corporations, psychologists, peak performance athletes, world-class entertainers, presidents, political leaders, advocates for humanity, CEOs of multinational corporations, psychologists, peak performance athletes, world-class entertainers, teachers, and parents. Since fathering the life coaching industry, Robbins has been honored by Accenture as one of the “Top 50 Business Intellectuals in the World”; by Harvard Business Press as one of the “Top 200 Business Gurus”; by American Express as one of the “Top Six Business Leaders in the World” to coach its entrepreneurial clients; by Forbes as a Top 100 Celebrity; by Justice Byron White as one of the world’s “Outstanding Humanitarians”; and by the International Chamber of Commerce as one of the top 10 “Outstanding People of World.” Robbins has produced the #1-selling audio coaching system of all time. He also is a corporate Vice Chairman, and Chairman overseeing five private companies. Zig Ziglar has dedicated his life to teaching people the art of successful living.